How to make new ribbons in Excel 2010? Starting Excel 2010, you can finally customize the ribbon UI and define your own tabs or groups. This can be a huge productivity boost for people using MS Office applications. In this post, learn how to customize excel ribbon to improve your productivity. Office 2010, the latest and greatest version of Microsoft Office Productivity applications is going to be available worldwide in the next few weeks. I have been using Office 2010 beta since November last year and recently upgraded my installation to the RTM version. I was pleasantly surprised when I ran Microsoft Excel 2010 for first time. It felt smooth, fast, responsive and looked great on my comp. 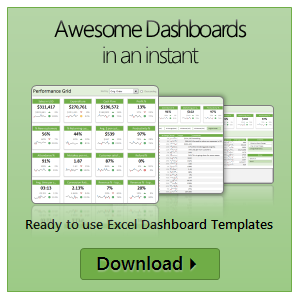 This week, I want to celebrate the launch of Excel 2010 and write about the following new features in Excel 2010. I like to hide grid lines on my spreadsheets and charts whenever possible. I think removing gridlines makes the charts and worksheets more presentable. In case you are wondering how to remove (or hide) gridlines from your worksheet or chart, follow these simple instructions. Do you know these Double-click Tricks in Excel? 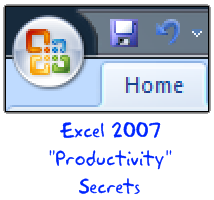 Do you know these excel 2007 productivity secrets? 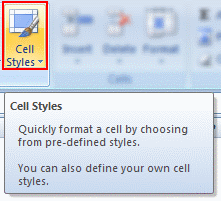 (1) How to turn on the clipboard pane so that you can do rapid copy pasting (2) How to lock a feature for repeated use (3) How to copy charts as pictures (4) How to features not on ribbon to the quick access tool bar (5) How to change the default file save settings so that excel always save files in earlier version and much more. Go ahead and read the secrets and become excel guru. Do you have a nosy colleague who would like to see what you are up to? Then use the hide workbook feature in the ribbon.